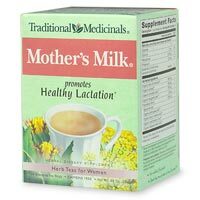 Mother's Milk is based on a synergistic combination of seeds traditionally used as galactagogues, (agents that increase the flow of milk), including fennel seed, anise seed and fenugreek seed. This is not a full box, but only a sample provided by Traditional Medicinals. Available only while supplies last.